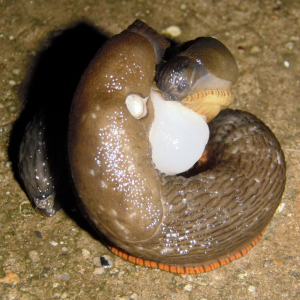 Observation - Slugs mating - UK and Ireland. Description: Two slugs mating on the rain-wet cement doorstep at 18:42. Two slugs mating on the rain-wet cement doorstep at 18:42.